I’ve been using the book to boost my ‘morning pages’ routine. Mark Levy calls this Secret # 4: Write the Way You Think. In other words, don’t edit for any audience other than yourself. In fact, don’t even edit for yourself. Just let’er rip, working from the assumption that you can and will, even years later, understand what you’re saying to yourself, no matter how many disconnected thoughts carom across your paper or screen. He used kitchen language’, a term he borrowed from Ken Macrorie [ Link #1 Link #2 ]. Levy defines it as ‘your own slang’. He ‘kept quiet about things that needed no explanation’. In other words, he skipped clarifications because he was only writing for himself. He bounced from one topic to another, with no concern about logical connection between thoughts because he knows how he thinks. Show me a TV ad for the SPCA, and you’ll get tears. Actually, I take that back. I wouldn’t stay in the room long enough for that to happen. I’ve listened to and followed Srini Rao for about six months now. I always glean plenty from his insightful Unmistakable Creative podcast–a productive collaboration between himself and his guests– and from his weekly newsletter. Here is an excerpt from yesterday’s topic: “The Power of One Focused Hour a Day”. I believe he originally wrote it in June of last year, which goes to show the power of ‘resharing’ valuable content on the Internet. With one focused hour a day you can write a book within a year, write 1000 words a day or finish a 45,000-word manuscript in 6 months. With one focused hour a day you can easily develop a daily writing habit, and even write something daily as Seth Godin does. Note: He also suggests locking in your focused hour to your calendar rather than your digital or analog to-do list. It’s really more of a Teachable project [that I hope will benefit visitors]. It’s really more of a lab experience, even a tour of my process as I work on a first draft. demonstrations/discussions of a variety of different writing tools, such as Scrivener, IdeaFisher [this piece of software is the prime reason I’ve hung on to my 3-ton eMac running System 9], and concept mapping programs such as Inspiration and MindMeister. short profiles of experienced, successful and generous writers and content creators who have helped nudge me forward. So, basically, I have a lot to do. If you’d like updates on the progress of the project, just fill in the contact form below. Use the comment box for questions and suggestions. Thanks very much! Use your fast-forward button liberally. You’ll get the gist of the program. “you have to go after it with a club.” –Jack London. Seems lately I’ve been using a feather, at best. 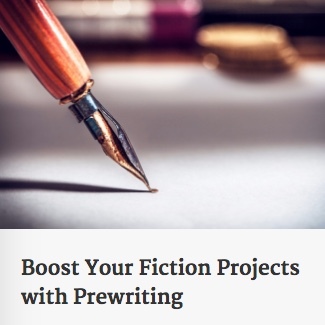 I came across this list from WritetoDone. A work in your field of interest/genre that you think you could substantially improve. A previously successful work of your own. An addendum to item #8 [Music]: Some writers loop one selection to help them achieve flow. This article might help explain what’s going on. Okay, so I’m now inspired. Time to find my version of a Jack London club. If You’re Trying to Teach Kids How to Write, You’ve Gotta Have This Book is one of the books I’ve been revisiting. I probably never turned to page 20 when I used it for teaching, but the author insisted that we readers [i.e. teachers] take an inventory of ourselves as writers. 1. Do you like writing? I absolutely do like writing, but I’m probably in a large club of writers who prefer the thrill of first-draftish writing–getting the ideas on paper. I also prefer pen-and-notebook to composing on a screen. 2. Do you think writing is hard, or easy, or both? Writing is most certainly both. As I stated above, I do like first drafts, but it seems when it’s revision time, the hateful editor creeps in with not just nasty comments about word choice, etc. but more than a few intimations that my whole project–no matter how miniscule–is of questionable value. That’s when writing is hard. It’s also annoyingly difficult when a version from two weeks ago sounds better than what is currently on the screen. I don’t work hard enough. I don’t read enough. I don’t work past first draft level enough. Enough [catching the theme here?] said. 4. Have you grown as a writer in the past five years? How? In some ways, I have grown as a writer. For one, posting this Q. and A. is a sign of growth. Working from resources like Jeff Goins’ You Are a Writer, Austin Kleon’s Show Your Work, and Mark Levy’s Accidental Genius shows I’m taking this all more seriously. 5. Can you identify your strengths and weaknesses as a writer? Strengths–I think I’ve come up with interesting premises for stories. And I’ve been told my dialogue isn’t bad. So, first of all, it’s not so much a Teachable course [though I hope visitors will learn from it]. Today I used Microsoft Word and it did a pretty good job of proofreading and correcting its own translations. Example…I said, “I also like the way it lets me stop in midsentence”. Its first translation included ‘get me stop in midsentence’ and it corrected itself to the desired phrasing. What else did I like? It’s very patient. It waits quietly while I gather my thoughts. Suggestion: Experiment with dictation when you’re in brainstorming/prewriting/outlining mode. You’re not as locked into dialogue and its added punctuation requirements nor are you weighed down with the same level of perfectionism. A good reminder to raise the stakes–private, public, or even better, both–for your main characters. Example of raised private stakes: Investigator Clarice Starling of Silence of the Lambs [Jodie Foster in the movie] needs to erase the childhood memory of the slaughtering of the lambs. A good reminder by Donald Maass, though. I’m finding that if I’m working against a clock, it can make me productive, but it can also be a pain in the rear if I’m rushing around and feeling enslaved by the timer. So, I tell myself, give it a rest. If you have to take some of that time to find the book you need or website, or whatever, then do it and reset [rather than ‘resent’] the timer. In fact, I’m writing this during a seven minute stint that was dedicated to a story I’m working on. So there you go! Progress already! Time to reset my Tomato One Timer.